Har Mar Superstar and his band took the stage last week at Union Transfer dressed in La Croix Pamplemousse inspired t-shirts advertising his latest EP, Personal Boy. Sean Tillman (aka Har Mar Superstar) led the crowd through a set of disco-rock, his dance moves becoming increasingly bold and his clothes coming off as the set progressed. By the end of the show, Tillman was in a handstand on top of his t-shirt, his perfectly round potbelly seeming to act as a counterweight as he held the pose for an impressive length of time. 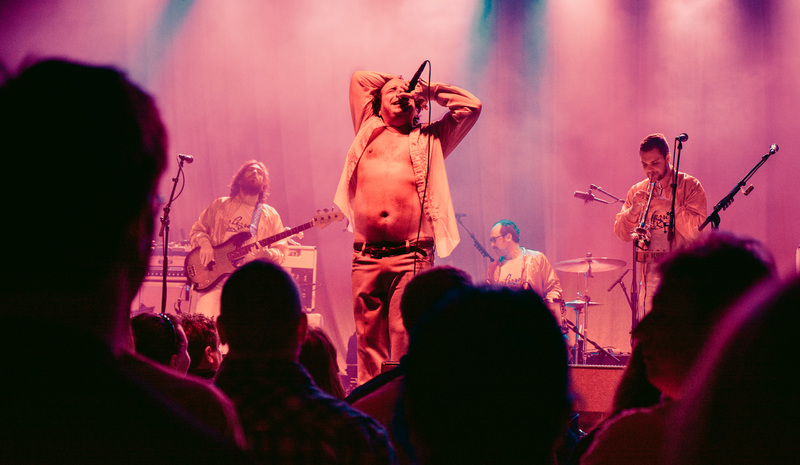 It was an interesting bill, with Har Mar Superstar opening for the Afghan Whigs, and a handful of Whigs fans looked bewildered at the balding half-naked man belting out high notes and discoing across the UT stage. Check out Har Mar Superstar next time you want a fun show, solid performance, and delightfully unapologetic absurdity.